The field of Johannine Christology has been well covered, but Mr. Sidebottom has found new things to say and new material to put before the reader. 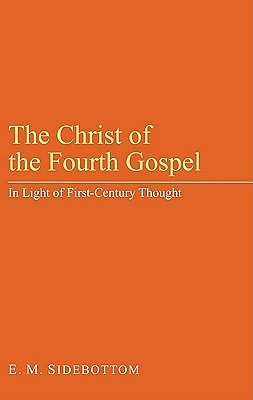 His method is to analyze the language used about our Lord by the writer of the Fourth Gospel and to interpret it in the light of contemporary first-century thought and phraseology. Those who are already familiar with the Hermetic and similar literature will find new insights here; while for those who have not yet become acquainted with it, Mr. Sidebottom is a learned and stimulating guide. The student will be particularly grateful for the way in which he gathers into a convenient compass much of importance that has hitherto been difficult to access, and for his dealing less in generalizations than in direct quotations from which the reader is encouraged to draw his own conclusions.